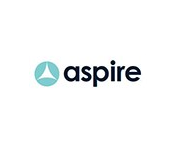 Aspire Surveyors Ltd is an independent firm of Chartered Surveyors covering the Manchester area. We are a local company with an extensive knowledge of Manchester and the surrounding towns, and we have great experience in providing HomeBuyer Reports and valuations to clients in this area. Aspire Surveyors Ltd is one of the leading firms of surveyors and valuers in Manchester, so you can be assured of a survey that is completed by skilled professionals. If you are buying a home in Manchester, we can complete the RICS HomeBuyer Report to ensure you are fully informed about the condition of the home you are buying. Our HomeBuyer Report is produced in the standard RICS format and is designed as a value for money package for home buyers purchasing a property of conventional construction and in general good condition. The HomeBuyer Report will cover areas such as the condition of structural aspects of your property, including the roof, doors, ceilings and internal walls, services such as electrical and gas installation, and external areas of your building. If there are any issues which are significant or urgent, or may affect the safety of the site, we will report on these. We will also discuss any matters which may affect your decision to continue with your purchase. Our commitment is to our clients and we always aim to offer the best customer service, whilst keeping our costs competitive and house surveys efficient. We offer affordable prices for an expert, professional service from fully trained surveyors. Aspire Surveyors Ltd is a member of the RICS. We always comply with their professional regulations and codes of conduct, so you can be confident that our surveying services are of an expert, quality standard. Really helpful and easy to deal with. Great service. I haven't needed to get back in touch with any questions yet so I can't comment on that. Brendan rang us straight away to make arrangements for the survey within the week. He returned a very detailed excellent report - we did not buy the property and we are still looking. Brendon will be the first surveyor I will ring. Excellent service provided by Brendan at Aspire Surveyors Ltd. The survey was completed the same week it was requested and I received verbal feedback from Brendan on the same day of the survey to highlight areas of concern and explain these to me in detail. This really helped us to move quickly with our estate agents. Brendan also helped with advice about how to move forward based on the feedback provided. Cant recommend enough. Report was very clear and easy to understand. Some good advice was given. Great service, good communication and report received was comprehensive.